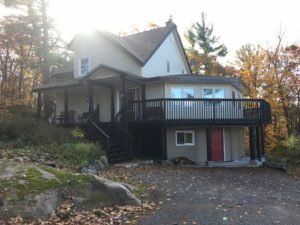 This exclusive cottage is a private Muskoka escape for your family. 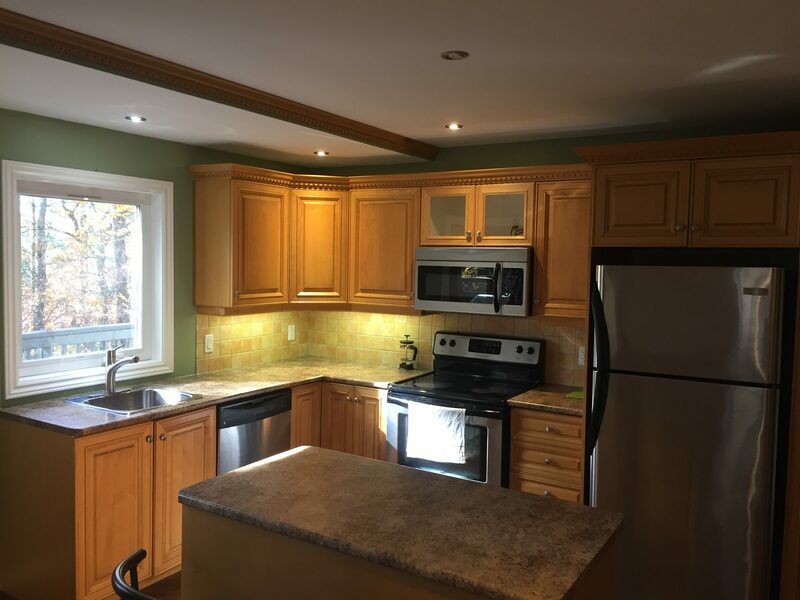 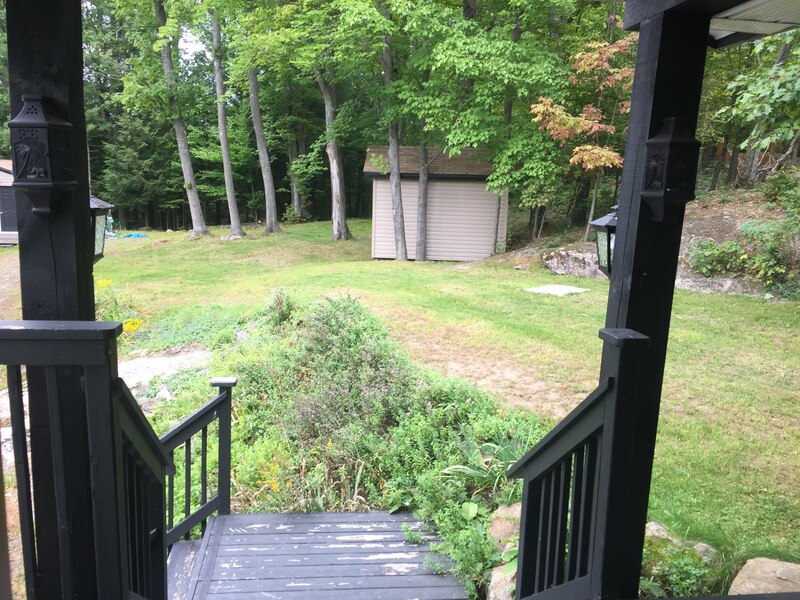 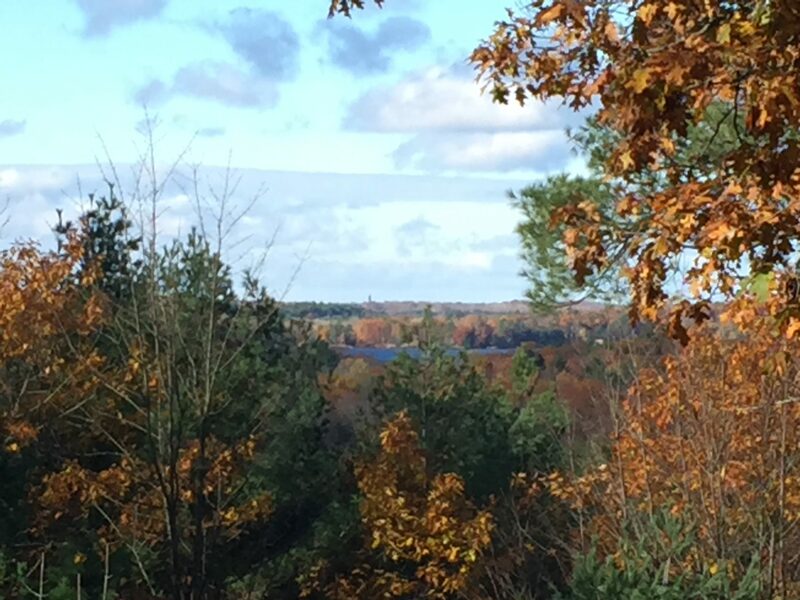 Located 1 minute away from the Campground, nestled on top of Porcupine Ridge, you have views of Lake Muskoka & are surrounded by the beauty of the Canadian Shield. 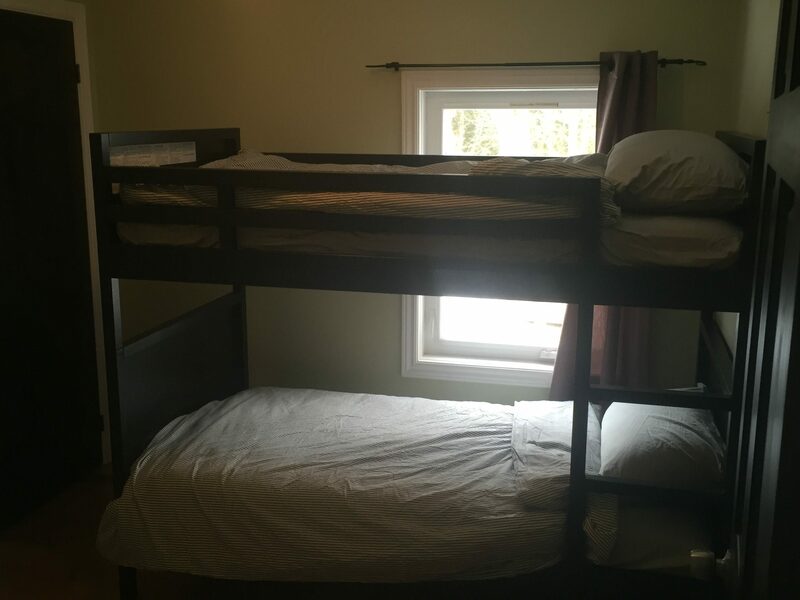 The base price is for 6 people. 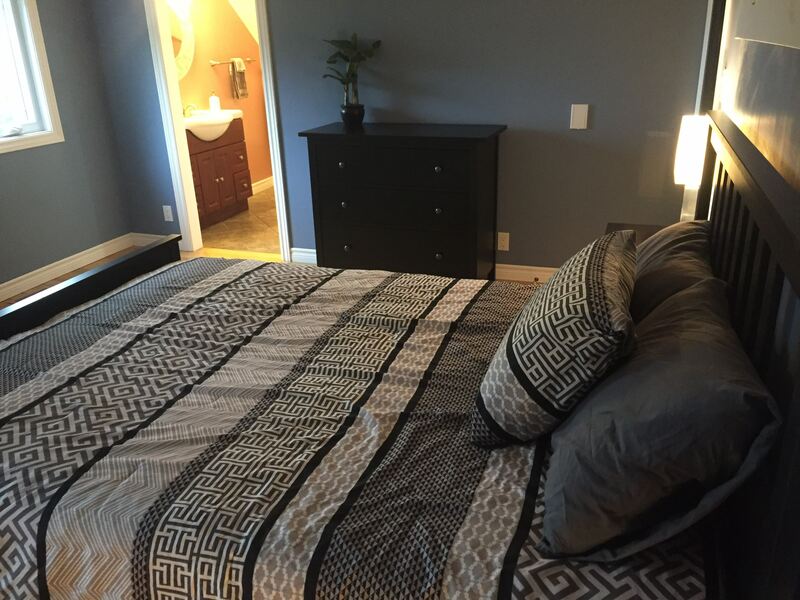 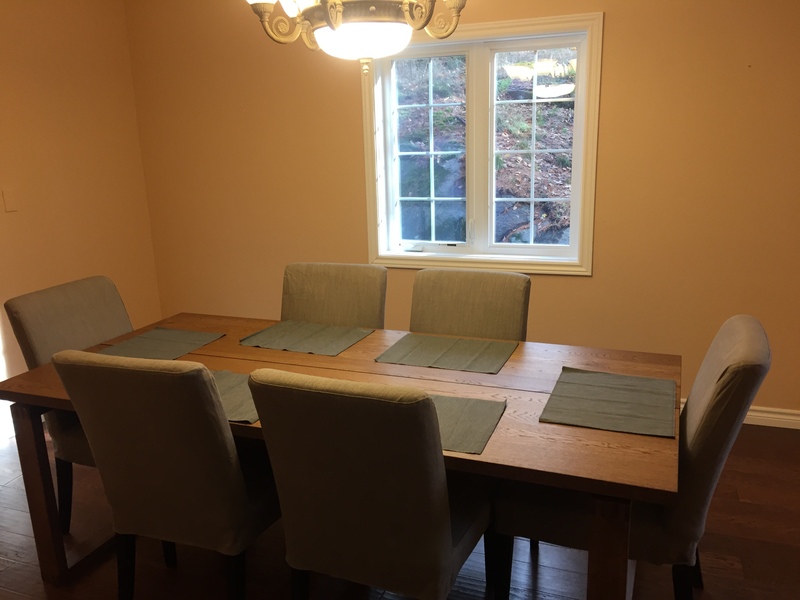 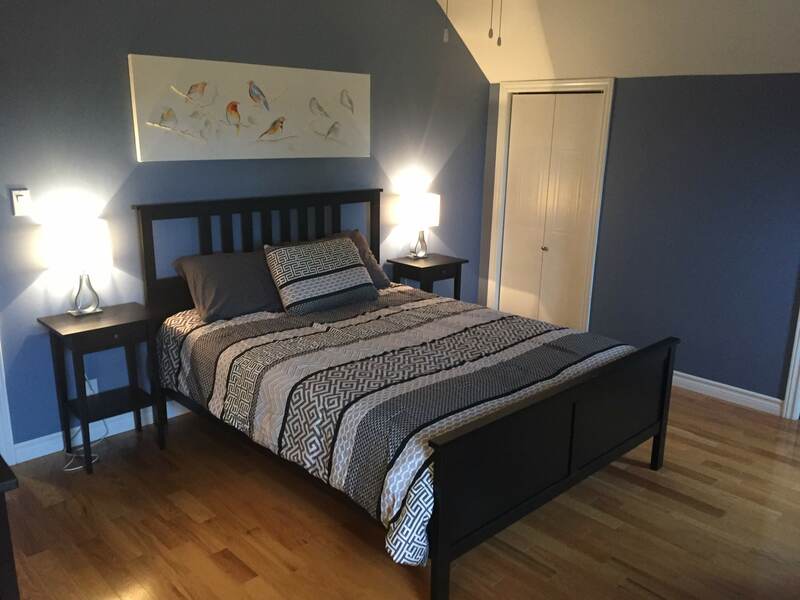 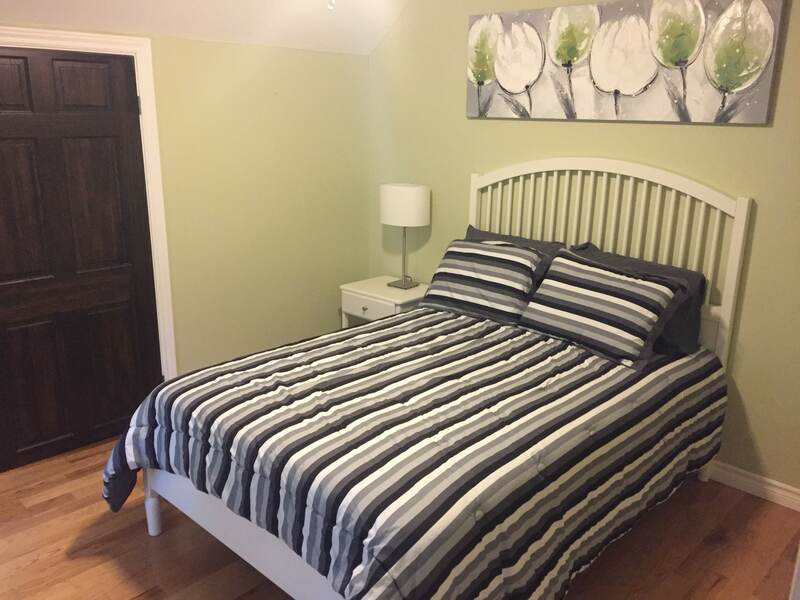 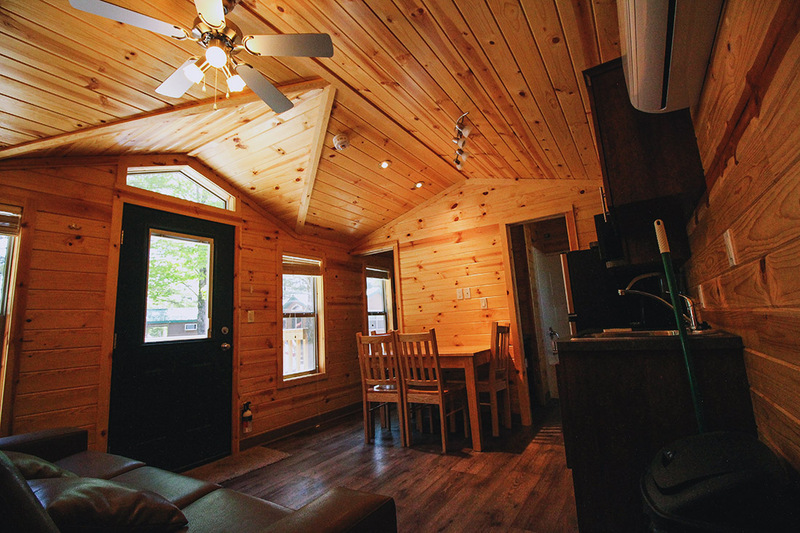 The cottage can accommodate up to 8 people; additional people are $50 per night. 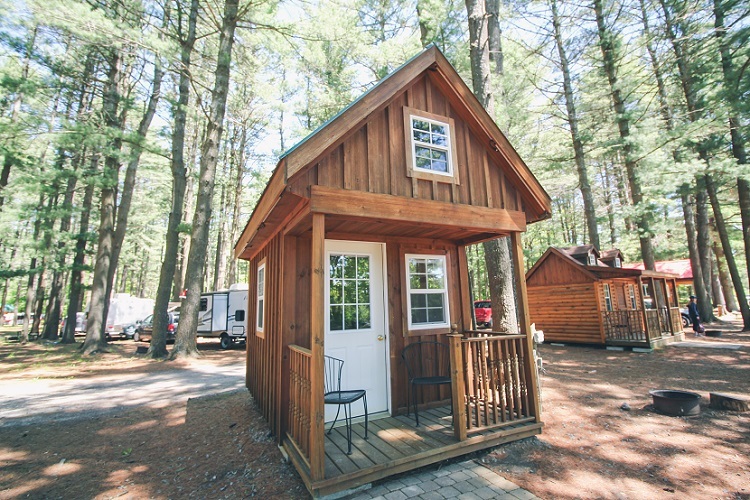 This is a pet free rental. 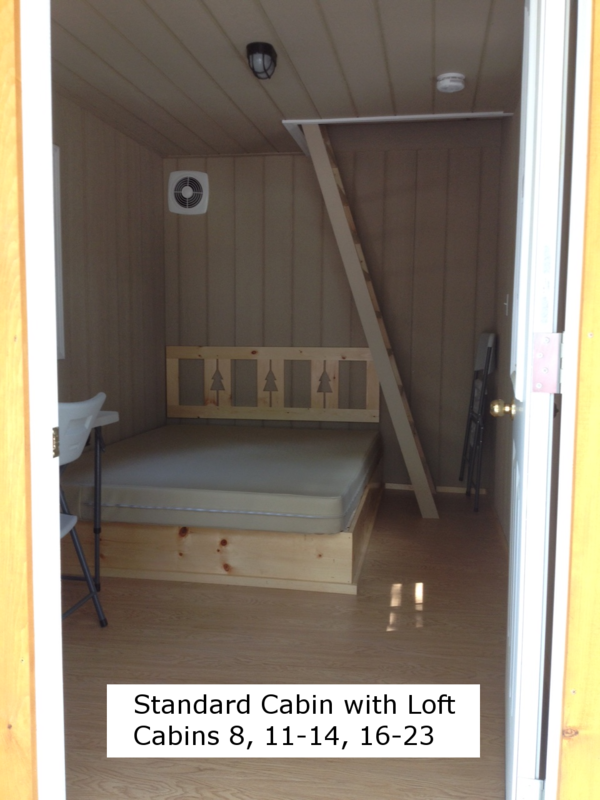 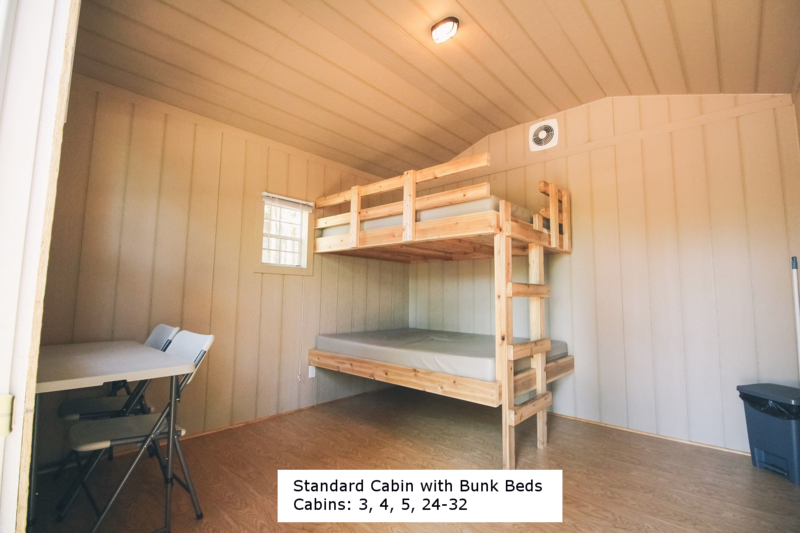 Standard Cabin/Standard Cabin with Loft = double over double bunk bed or queen bed on main level and 2 single mattresses in loft area. 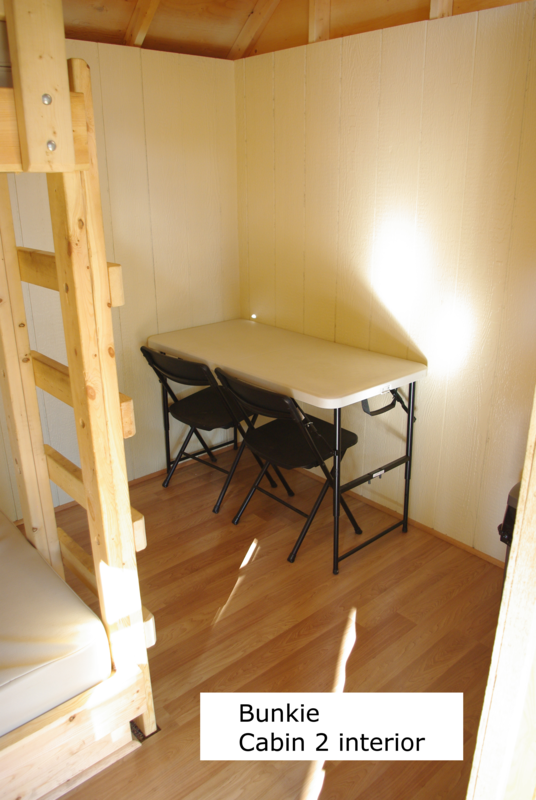 Light table with 2 chair. 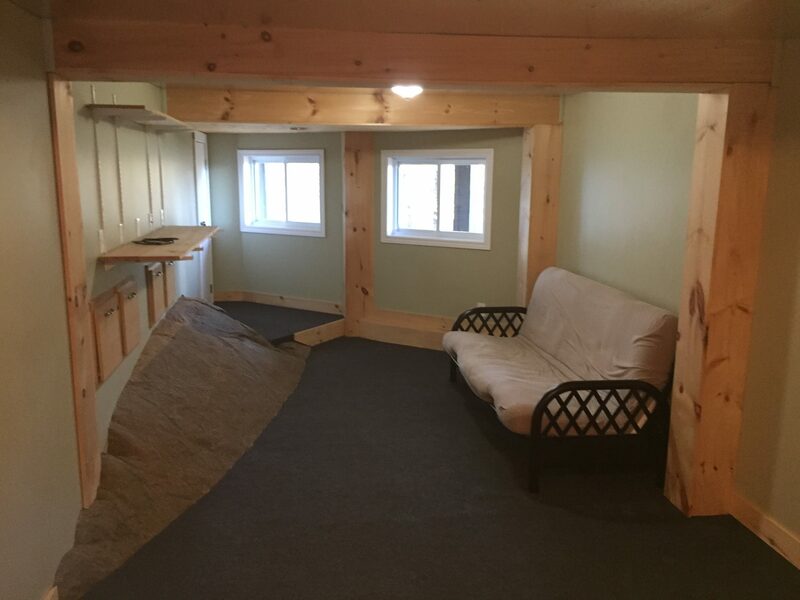 Hydro outlet inside with the lights. 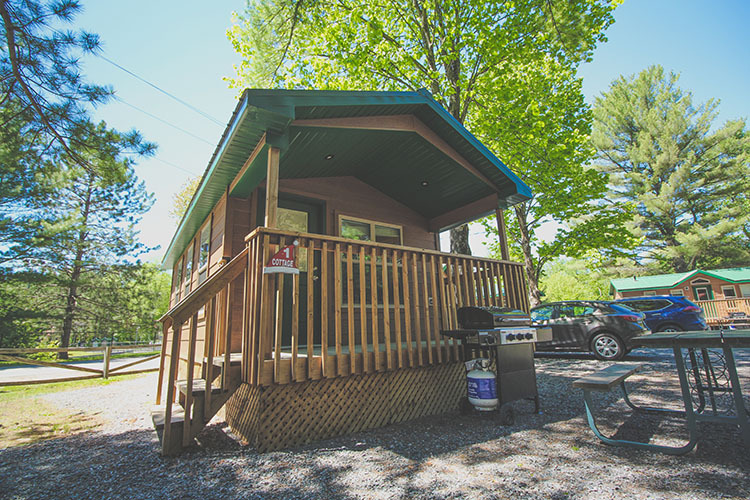 Outside you have hydro, water, a picnic table and fire pit. 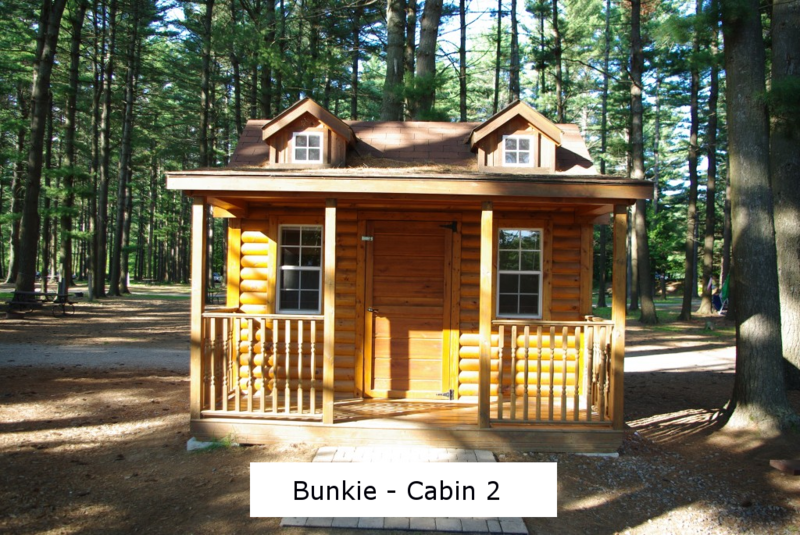 (photos are samples of the various styles of the two structures). 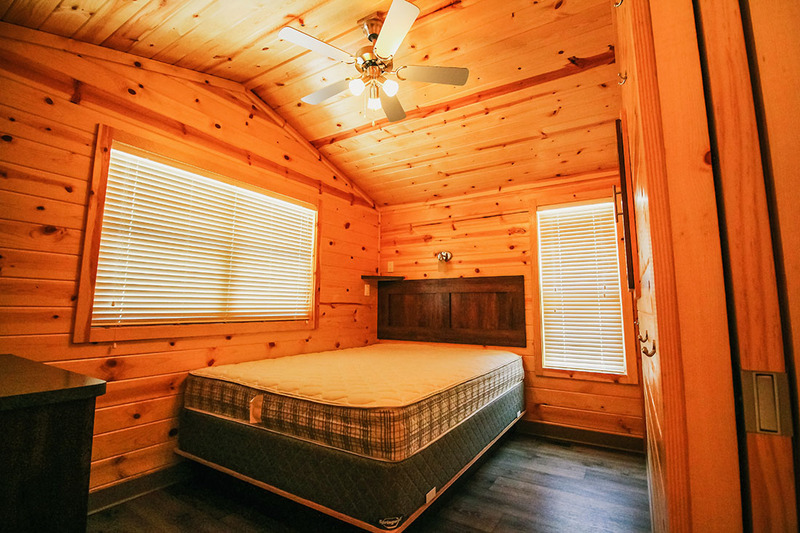 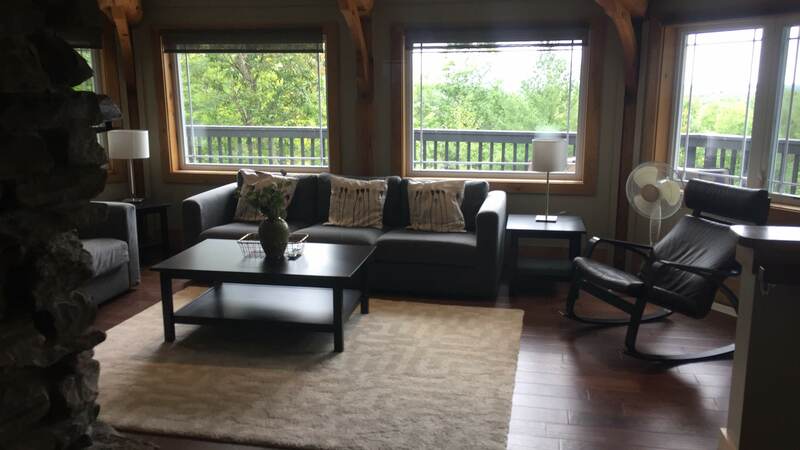 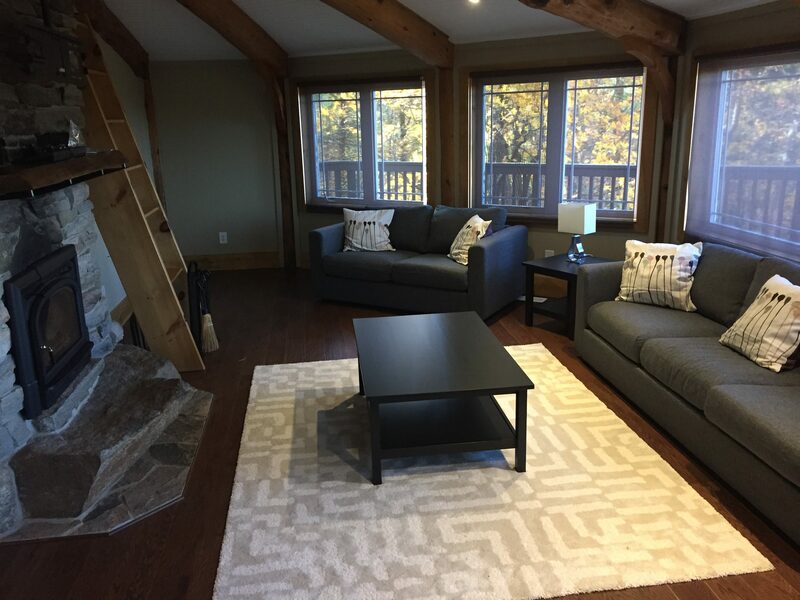 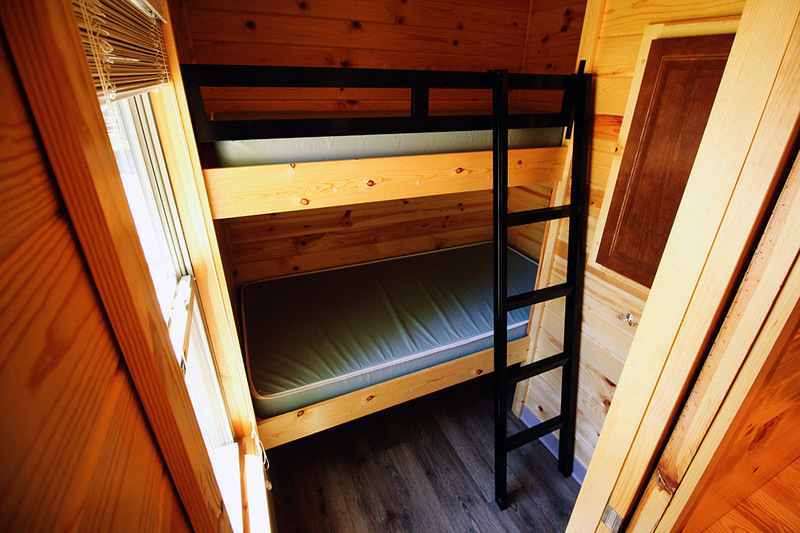 2 Storey Cabin = Our 2 storey cabins are our largest accommodations on site, accommodating up to 8 people in total (base pricing is for 4 people, additional fees apply for additional people). 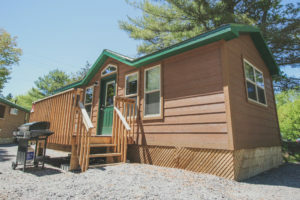 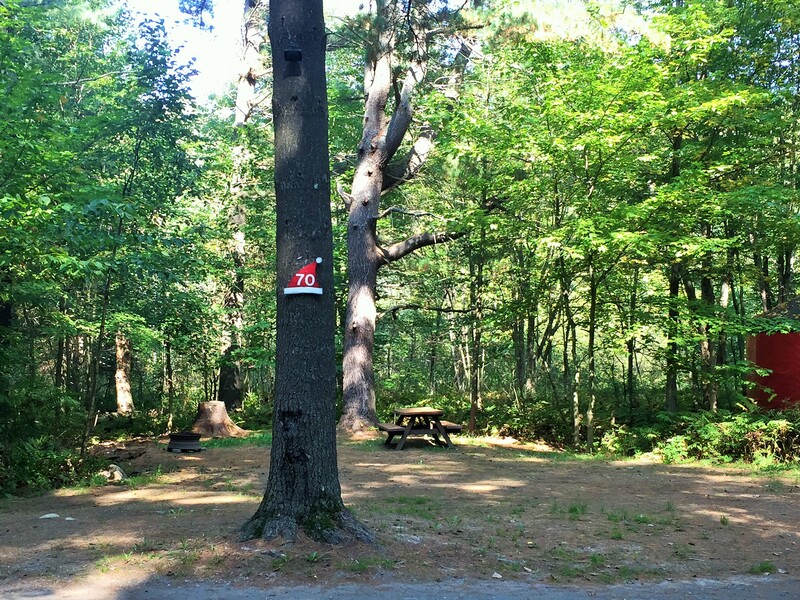 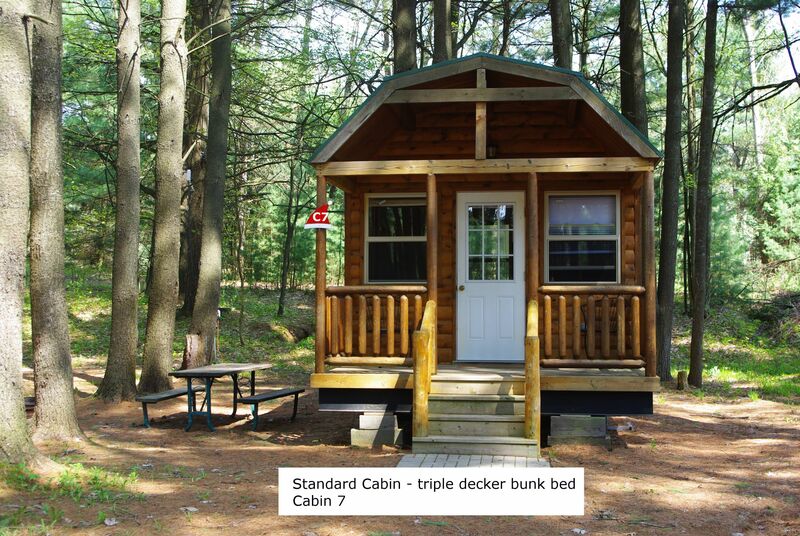 These cabins are located at the front of the campground under the tall pines and are a 2 minute walk to all amenities. 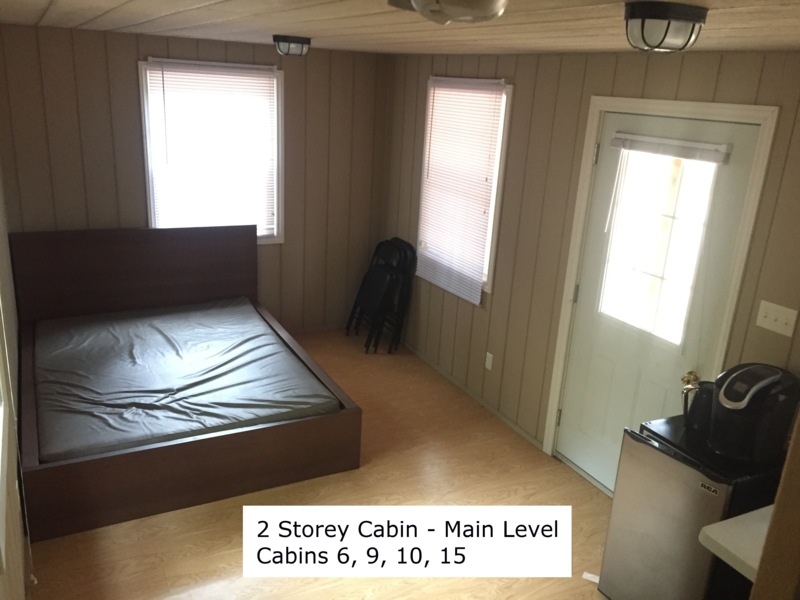 The main floor has a queen bed, bar fridge, Keurig coffee maker and table and chairs. 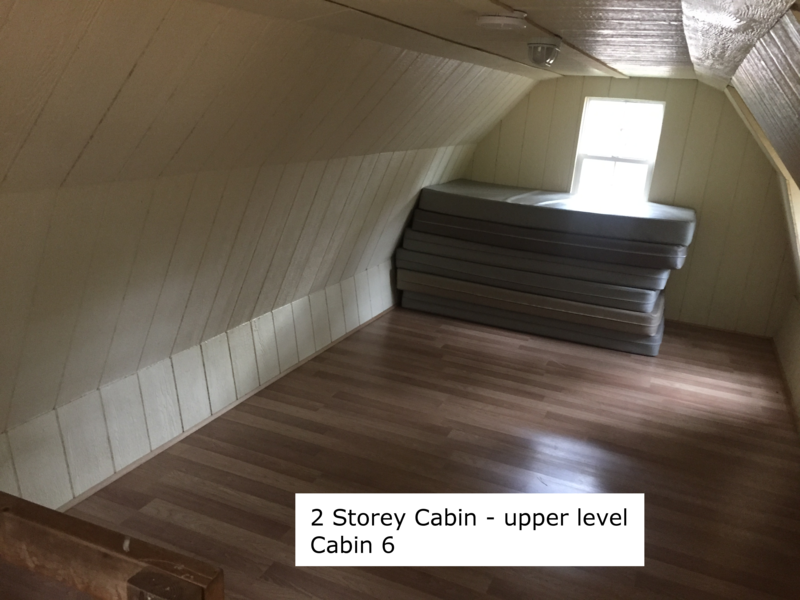 There is enough room on the main level for a play pen or to bring mattresses down from the loft for small children. 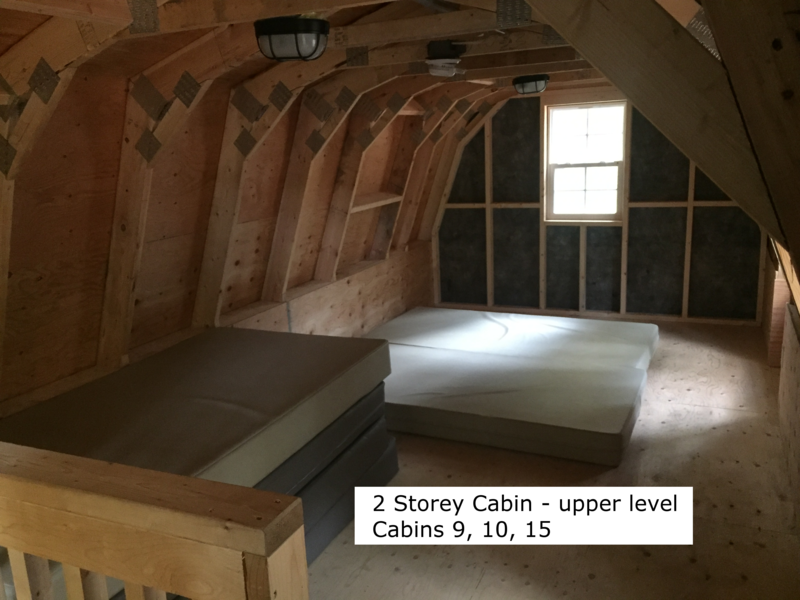 The upper loft area has six single mattresses. 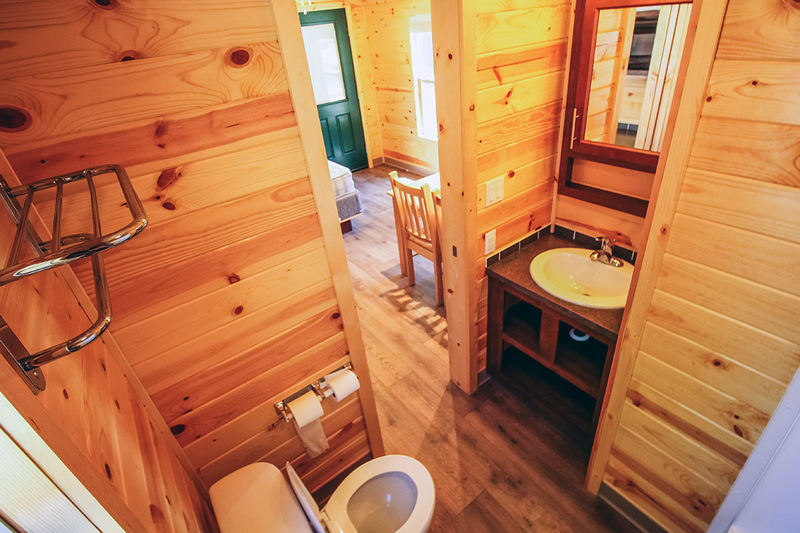 These cabins have hydro inside the cabin and a water tap outside, along with the fire pit and picnic table. 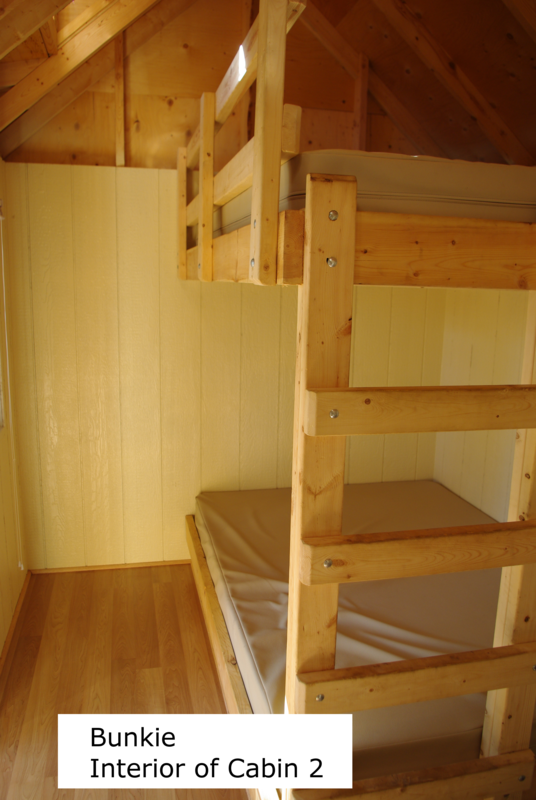 The upper loft area is accessed by a ladder making it unsuitable for children under 5 years old. 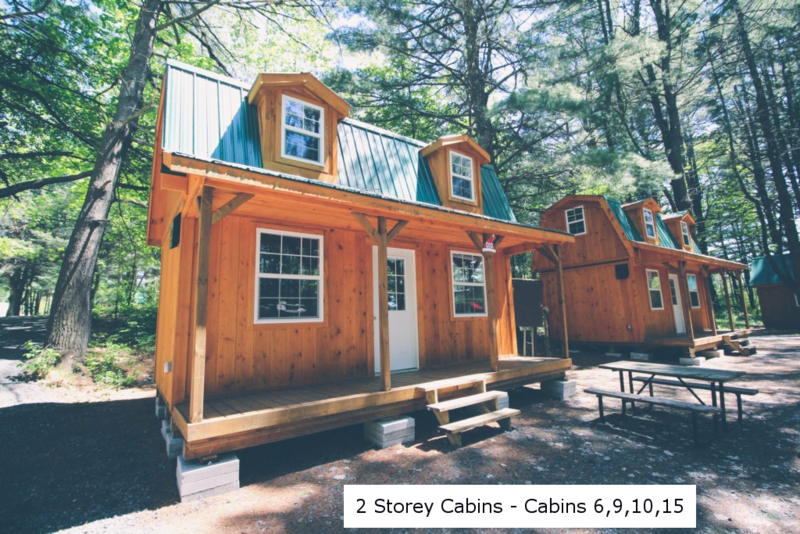 There is no washroom or air conditioning in the cabins. 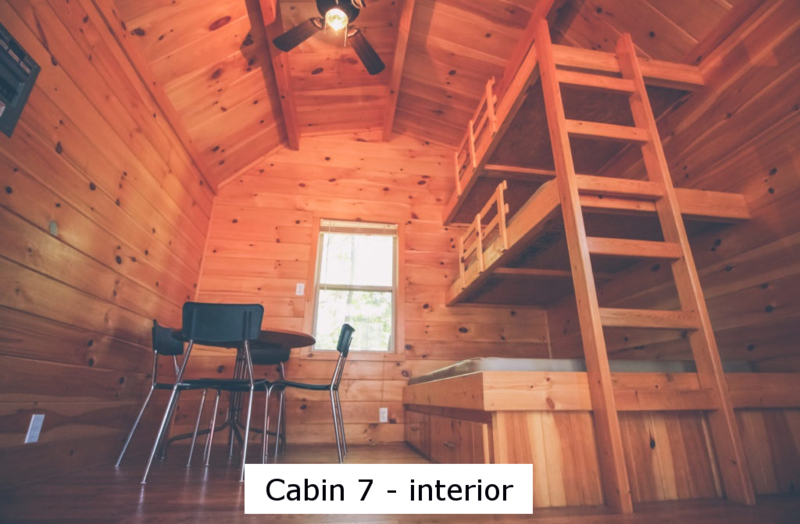 PLEASE NOTE: all cabins with a loft area/second storey are not appropriate for families with children under the age of 5. 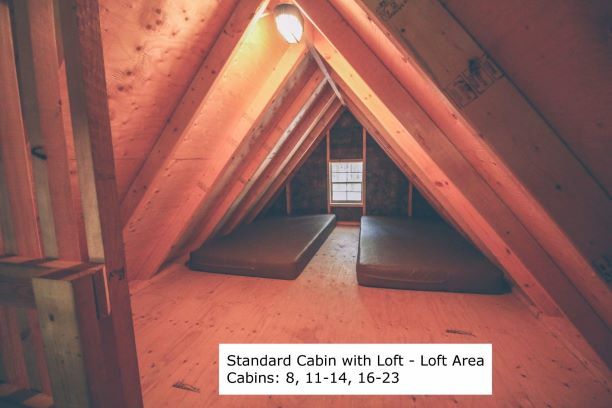 Call for details or alternative accommodations. 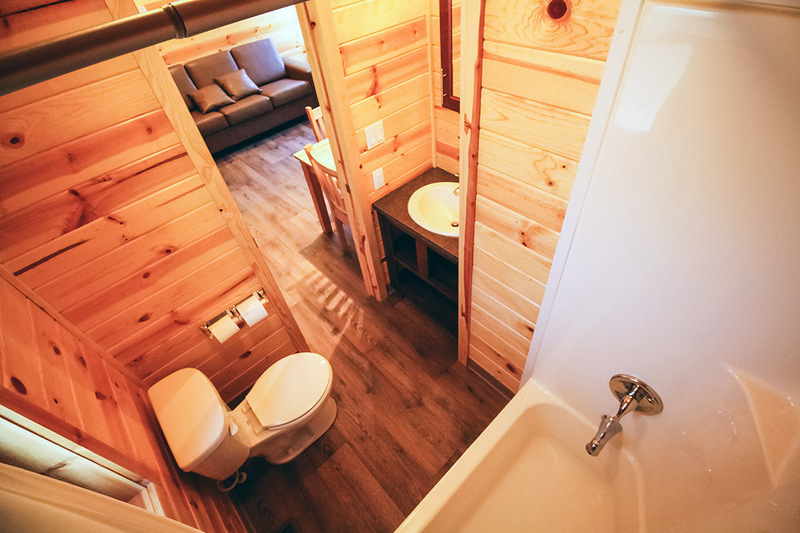 Cabins do not come with linens or cooking facilities. 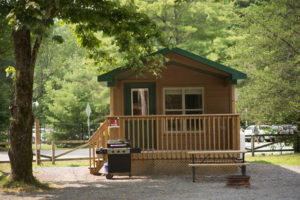 Campers need to bring their own linens and cooking/cleaning items. 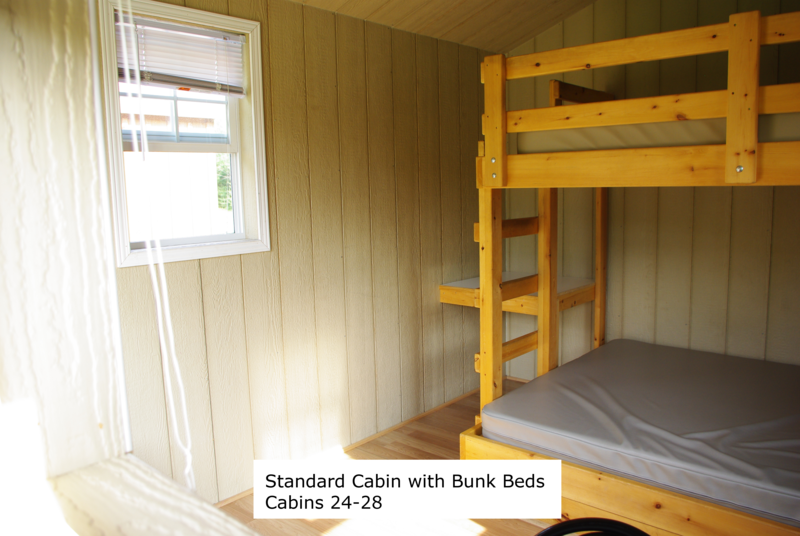 Bunkie – The smallest of our roofed accommodations, our bunkies sleep up to 4 people on a double over double bunk bed. 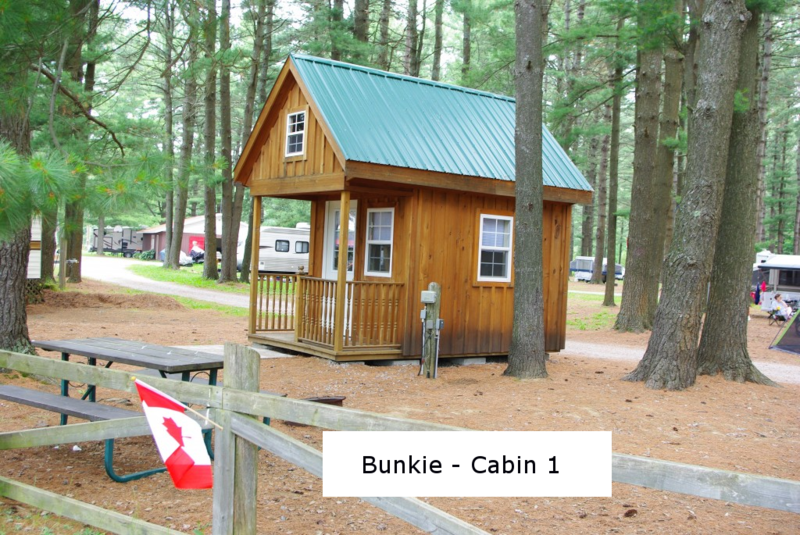 Both bunkies are under the tall pines at the front of the campground, along the roadside overlooking the Muskoka River. 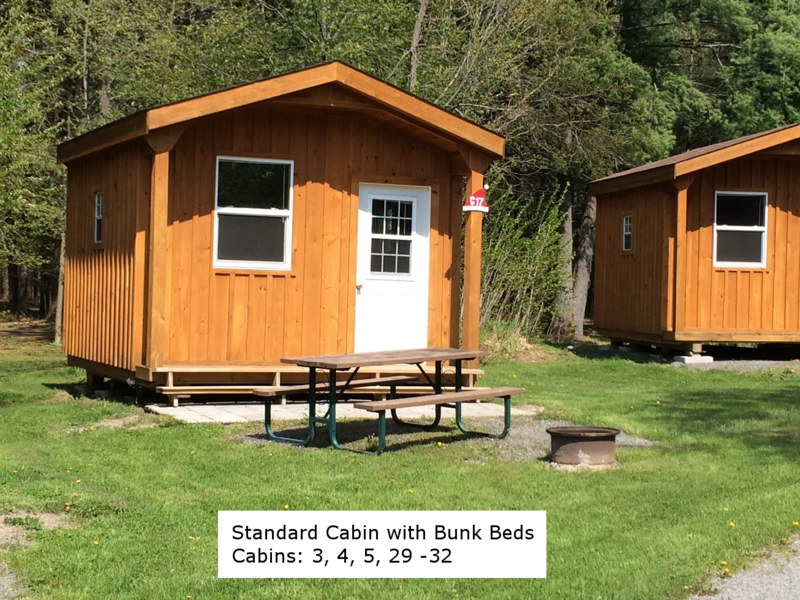 The bunkies have a hydro outlet inside and outside the unit, along with the water hook up, picnic table and fire pit. 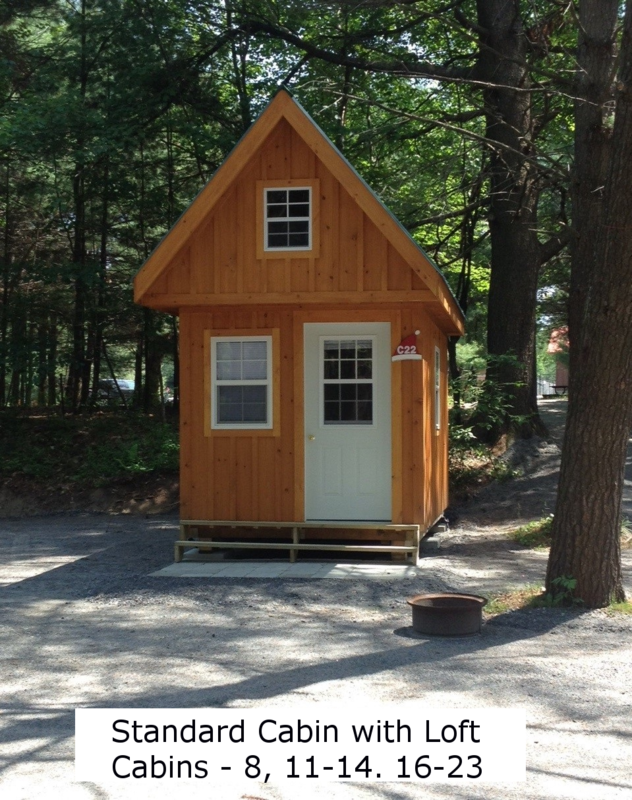 Bringing you own accommodations? 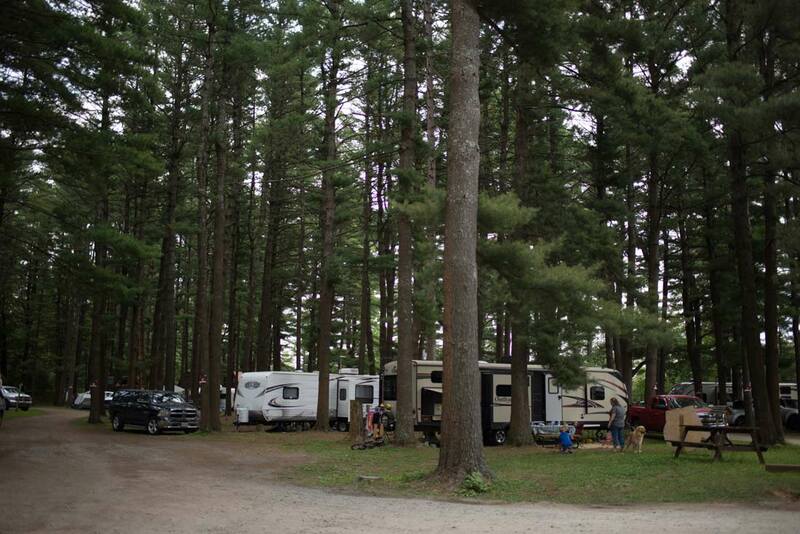 We have tent and trailer sites of all shapes and sizes. 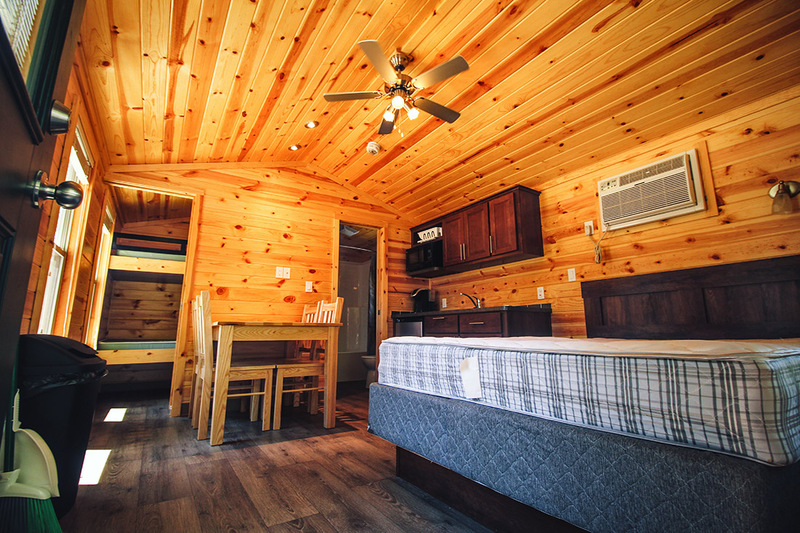 Like presents under a Christmas tree, our sites are shaded under the boughs of Santa’s whispering pines and the boreal forest and provide plenty of opportunity to make family memories and new friends. 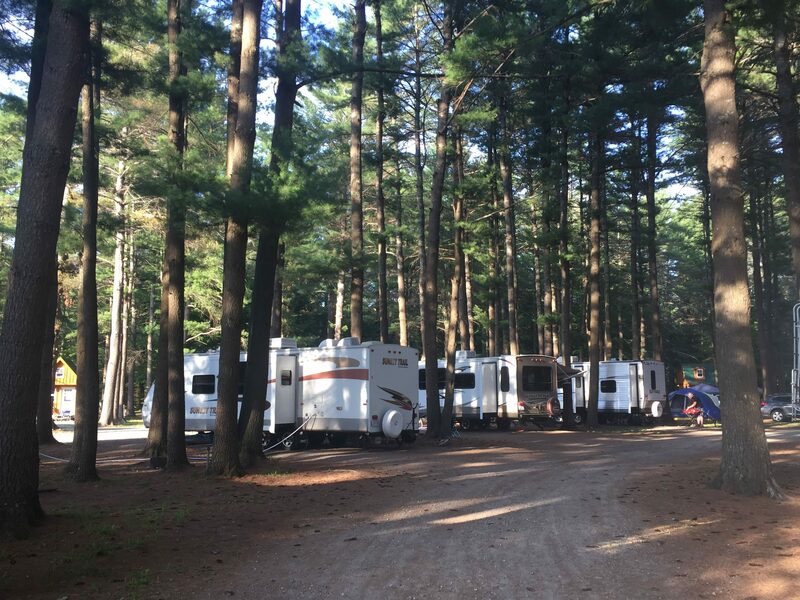 Pull through sites provide easy access for big trailers and motorhomes, while our unserviced tenting sites provide the most privacy tucked into the trees at the back of the campground. 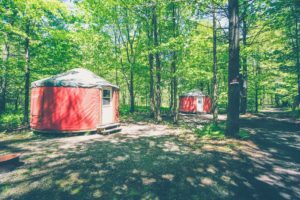 What is the difference between a cabin and a yurt? 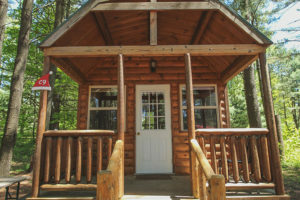 A cabin is a rustic square, wooden walled structure. 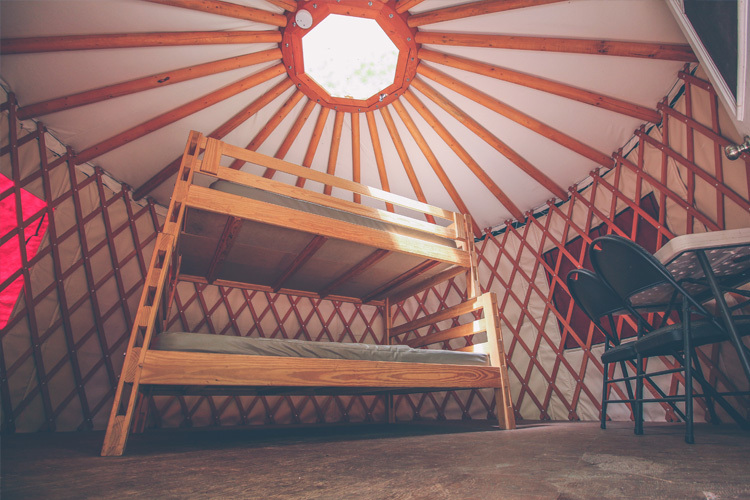 A yurt is a round structure with a flexible vinyl wall with an internal wooden frame. 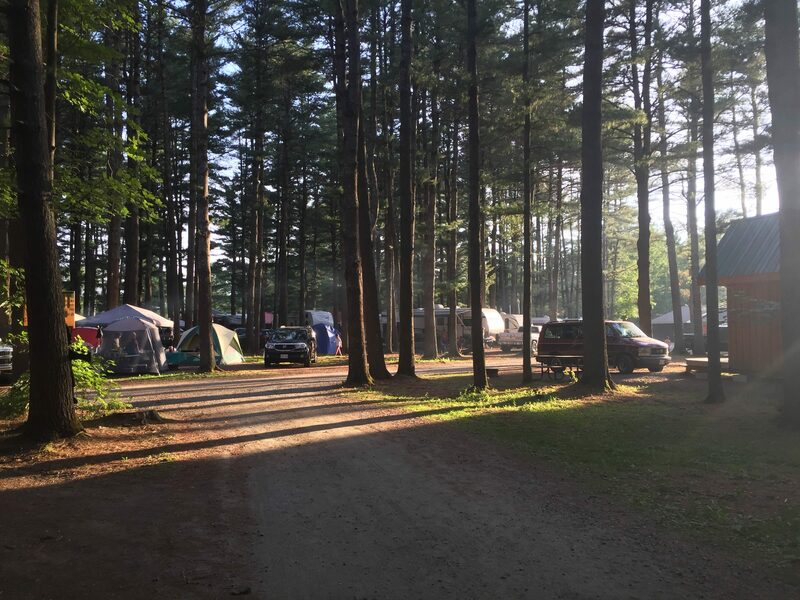 You will need to bring everything you would take camping except the tent and air mattresses, including something to cook on and your linens. 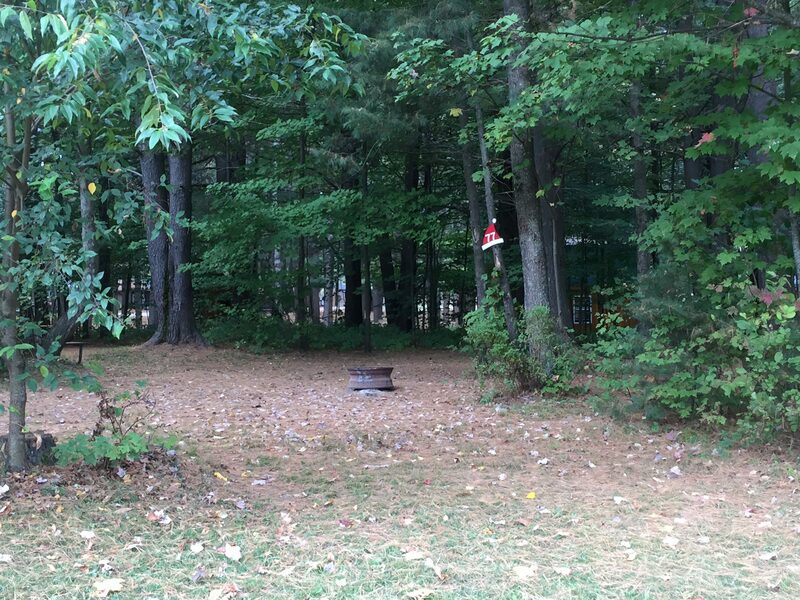 You can request to borrow a grill for the fire pit at the office when you arrive. Do the cabins and yurts include a BBQ? 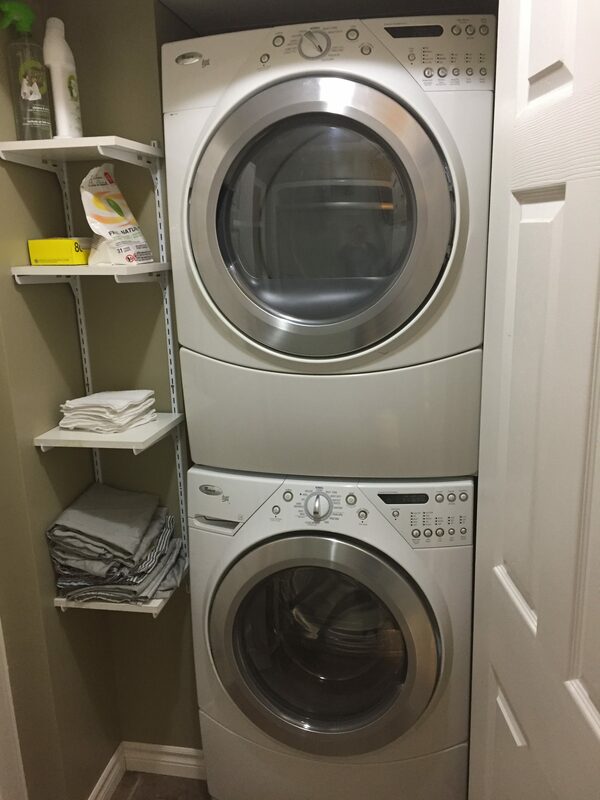 No they do not. 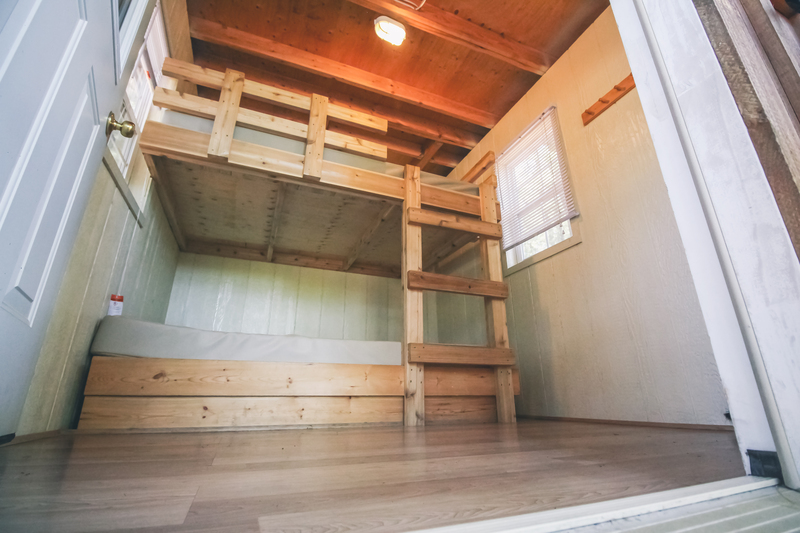 You will need to bring everything you will use to cook on and with.